To administer the laws providing benefits and other services to veterans and their dependents and the beneficiaries of veterans. 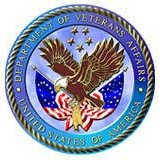 To serve America’s veterans and their families with dignity and compassion and be their principal advocate in ensuring that they receive medical care, benefits, social support, and lasting memorials promoting the health, welfare, and dignity of all veterans in recognition of their service to this Nation. As the Department of Veterans Affairs heads into the 21st century, we will strive to meet the needs of the Nation’s veterans today and tomorrow. We are a more customer-focused organization, functioning as “One-VA” and delivering seamless service to our customers. We benchmark our service with the best in business. We use innovative means and high technology to deliver “World-Class Customer Service.” We foster partnerships with our customers and stakeholders, making them part of the decision-making process.